Hey PBM, I have some good news. We are Making our Facility bigger over the weekend. So unfortunately there won’t be class FRIDAY EVE & SATURDAY. Then PBM has 5 Teams competing at The Big 5 Showdown. Come and support at Cresta mall in JHB 8am-4pm. 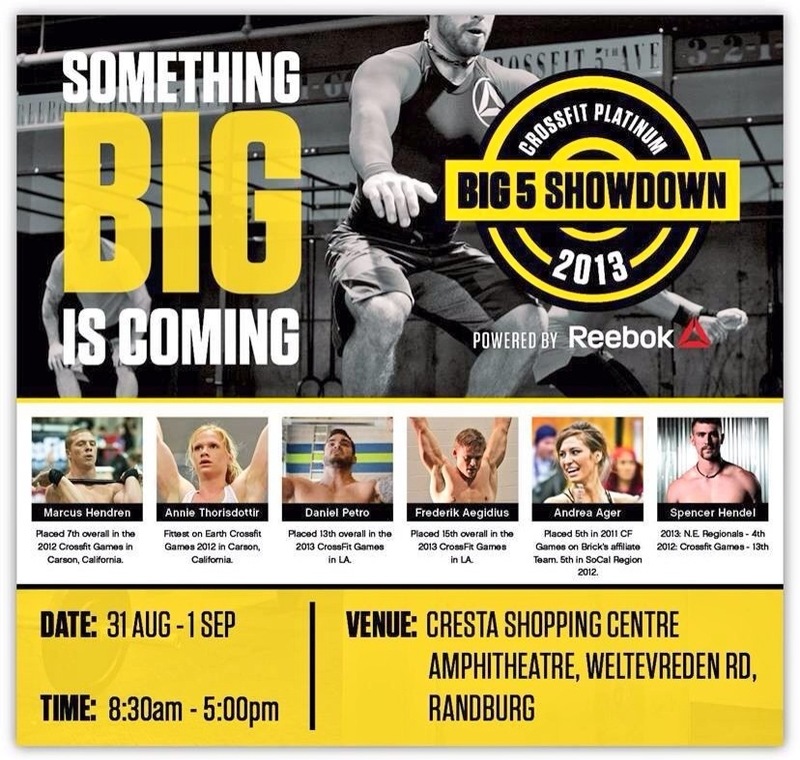 Don’t miss out on this, there is some International CROSSFIT athletes to see and meet.